- First, it is ridiculed. - Second, it is violently opposed. - Third, it is accepted as being self-evident. Do you know it's winter now in the southern atmosphere. Lots of people in the Northern Atmosphere don't know that. And they endure record cold weather too with some places have snow for the first time since last Ice-Age. It that not sign of the beginning of Ice-Age or I'm the only one who has common sense. Let's see another year or wait until it's too late. Confirmed by BBC, CNN, RT, PressTV, The Independent, The telegraph, and many others but denied by Washington Post as usual who plays the ridicule and the violent opposition. Do you know why the Europeans immigrants conquered America? Because during the last Ice Age, between 1650-1750, there were not enough food to feed the Europeans. Compare to last Ice Age, this cycle is different as over 4 billion people will be affected. That's include North Americans, North Europeans, Russians, 1.4 billion Chinese, 1.3 billion Indians and all other countries citizenry above 40 degree latitude and some ASEAN areas will be affected by drought if large scale water management such as SEAWAPA is not in place. 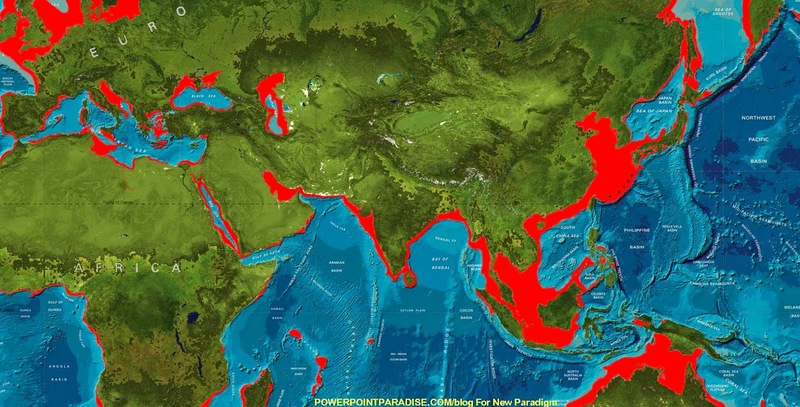 The sea area in red is about to become a landmass just after 2050 or earlier if a super-volcano explodes or a meteor hit any place on Earth. That will trigger a chain of events resulting in Malacca Strait, Singapore port, Suez and Panama Canals to dry up. 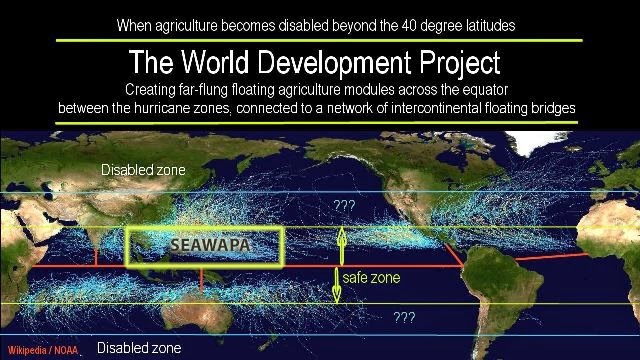 Bigger agricultural land will be created instead for Thailand, Cambodia, Malaysia, Vietnam, China, Koreas, Japan and Australia to grow food, as marked in red and other zone above the two 40 degree latitudes will be frozen or disabled for agriculture. Greater demand for freshwater and electricity will be required. Laos can and should be the supplier. Starting from 2018, the Earth will probably be heading back to mini Ice-Age and we should expect disastrous Ice Age around 2050 or earlier if a super-volcano explodes or a meteorite hit Earth somewhere. To form the ice sheets of the last Ice Age, water from the oceans evaporated, condensed as snow and was deposited as ice in high latitudes. Thus global sea level fell during glaciation. Once the Northern part of China is covered by thick layer of ice sheet, they have no other place to relocate their 1.4 billion people, except the sea between China and Japan. Now you understand why there is island dispute in the area. The Chinese also want big portion of South China Sea too which will create land area the size of Great-Britain. 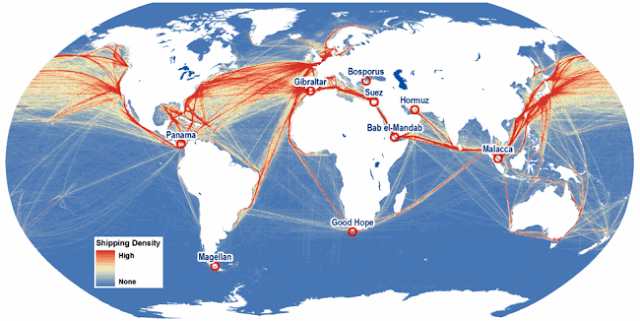 Actual sea transport route, but if sea level is dropped by 150 metres, most of these sea routes and ports will be useless. SEAWAPA master plan and why. If sea level fells by about 120 metres, new mass sea transport route is needed by connecting the hyper-loop powered by SEAWAPA system to Australia, India, East Africa, America and West Africa continents and loop them all together.